A series of Internet seminars will help you tell the stories of financial generosity in the Church. Treasurer Brian Bakeman urged local church leaders to mark calendars and view the stewardship webinars, set for Thursday evenings. They are presented by the UM General Board of Discipleship. April 12, 6:30 p.m., "How Online Giving Can Raise Your Church’s Income"
May 17, 6:30 p.m., "Introducing Extravagant Generosity to Your Congregation"
July 12, 6:30 p.m., "Are You Raising Funds or Raising Generous Disciples?" Sept. 13, 6:30 p.m., "Five Key Elements in Successful Stewardship Strategies"
Nov. 8, 6:30 p.m., "In the Financial Homestretch: Ending the Year Strong"
Learn more by clicking on "Events" at www.gbod.org/stewardship. On April 29, about 30 OU students will run with campus minister Daniel Dennison in the Oklahoma City Memorial Marathon, to raise funds for two causes. The young runners, active in the Wesley Foundation at OU, are seeking sponsors. Half the funds they raise will support Circle of Care Boys Ranch, at Gore, and half will go to the Wesley. Rev. Dennison said the Wesley focuses each month on a different mission. For April, that mission is Boys Ranch. The campus minister began running after undergoing shoulder surgery. He said he now runs 20-30 miles per week and plans to complete the half-marathon event on April 29. Some students will run individually, and some will take part in the relay and 5K events. Their participation in the Memorial Marathon will be "a great opportunity to encourage fellowship and healthy habits with our students and a nice fundraiser for our ministry," Dennison said. Donate online at www.okwesley.org. Mail checks to Wesley Foundation, 428 W. Lindsey, Norman, OK 73069. Email Dennison at Daniel@okwesley.org. Episcopal Bishop Steven Charleston has been appointed Visiting Professor of Native American Ministries for Saint Paul School of Theology at Oklahoma City University. He begins his work on campus July 1. The position is funded by a grant from the Henry Luce Foundation. Across 30 years in ministry, Bishop Charleston has been deeply engaged in both higher education and the Native American community. Most recently, he has served as interim dean at St. Paul’s Cathedral in Oklahoma City. He is a member of the Choctaw Nation. The Media Library has just purchased three new studies. To check-out these materials, contact Amelia Ballew in the United Methodist Ministry Center, at 405-530-2075 or aballew@okumc.org. 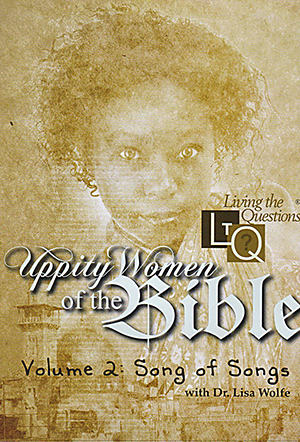 Uppity Women of the Bible. This four-volume DVD-based series features Hebrew Bible professor Lisa Wolfe of Oklahoma City University. With careful scholarship, she presents a lively discussion of Ruth, The Song of Songs, Esther, and Judith. Tuition, fees, and housing costs at Oklahoma City University will not increase for the 2012-13 school year, President Robert Henry announced Feb. 1. "One of the advantages of being a small, private university is our ability to quickly implement decisions that best meet the needs of our students," Henry said. More than 90 percent of undergraduate students at OCU receive financial aid. The United Methodist-related liberal arts school is one of the "100 Best College Buys," listed among "America’s Best Christian Colleges," and listed in the top tier of regional master’s-level universities by U.S. News and World Report. A new federal regulation will prohibit the use of drop-side baby cribs in churches, effective in 2013. Brian Bakeman calls attention to this in an issue of Treasury Notes. "If you have a nursery in your church with traditional drop-side cribs, it is extremely important that you eliminate them this year," Rev. Bakeman said. Churches are not exempt from this upcoming regulation. Find more information by the Consumer Product Safety Commission at www.cpsc.gov.